This Reviews Directory software theme comes with “Easy Install” built-in. 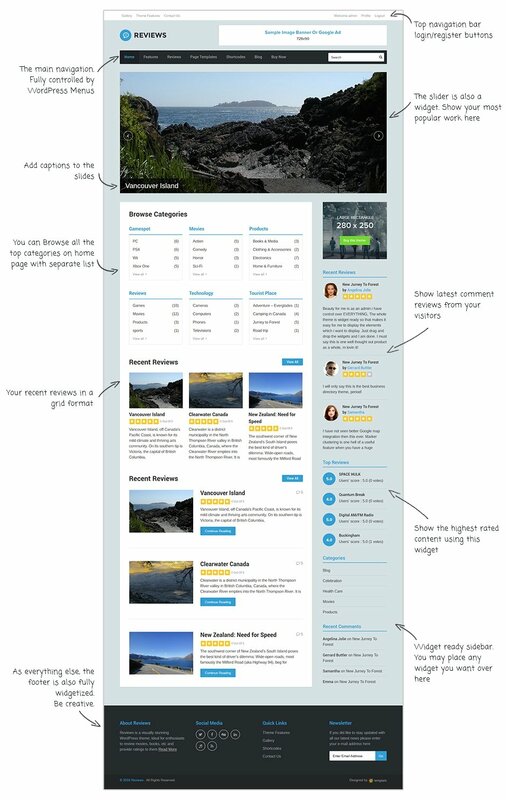 Once you activate the theme, click one button and your site will look like the Reviews theme demo in seconds. 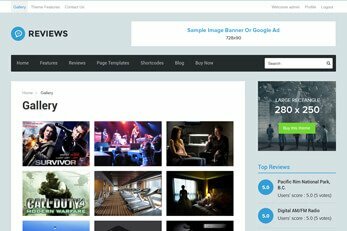 Whether you’re launching products, books or movies reviews website, the sample data which comes with this theme is designed to let you start your reviews website very quickly. 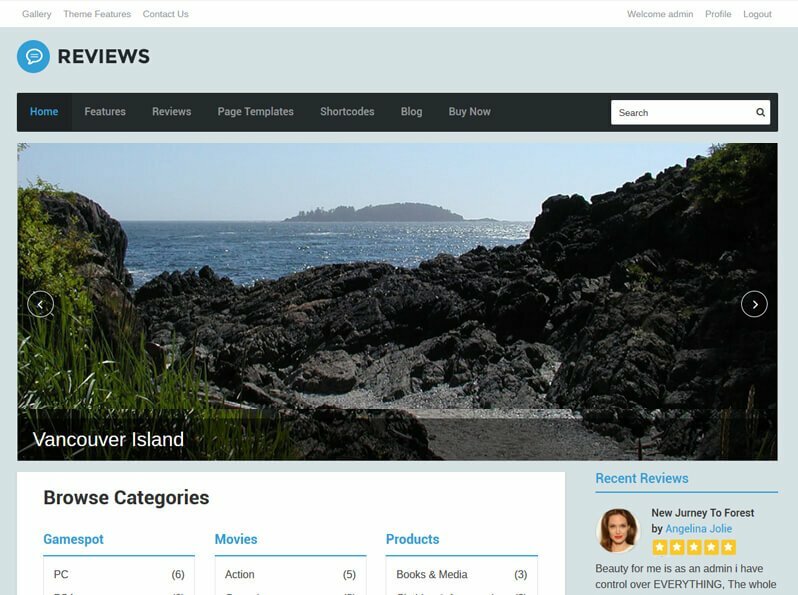 Use the Reviews Directory software theme to create a website for reviewing anything from movies, books, games or products to absolutely anything that can be rated. 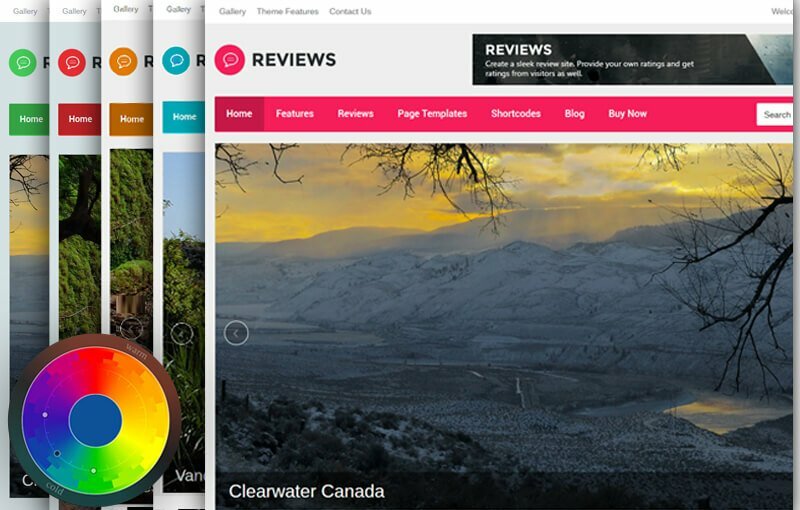 This modern design ratings and reviews theme is highly customizable and it comes with many powerful features. 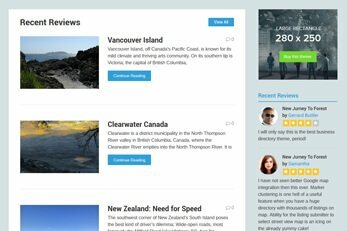 You can customize the Reviews theme to match your website. 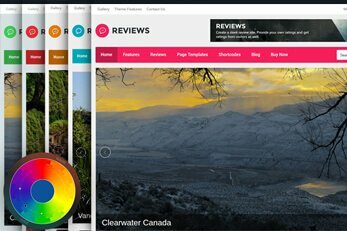 Easily change colors, categories and find plenty of dashboard options to shape your reviews website how like. Changing the theme’s homepage is easy as drag n’ drop. 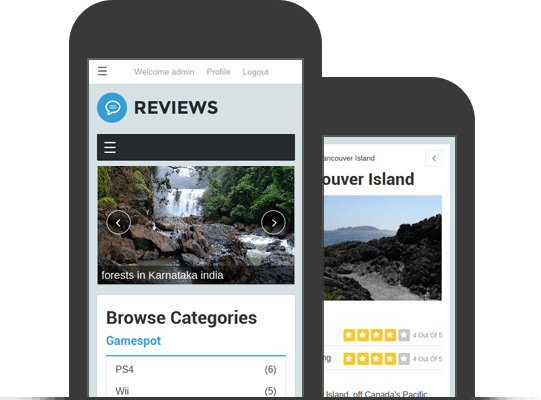 Widgets allow you to populate the homepage with different content on your reviews site. 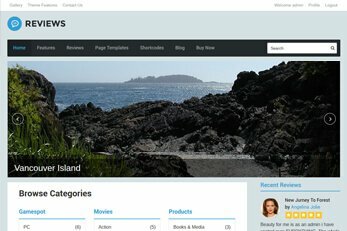 In the Reviews Directory software theme, the reviews are completely separate from regular posts. For this, a custom post type is used. You can even define review categories and tags. 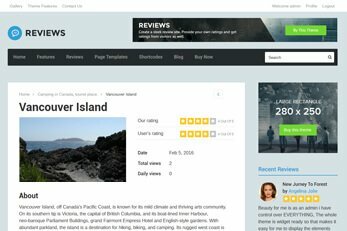 In the Reviews theme, ratings are available for both you (the author) and the visitors. This will allow you display two scores on review pages; the author score and the user score. 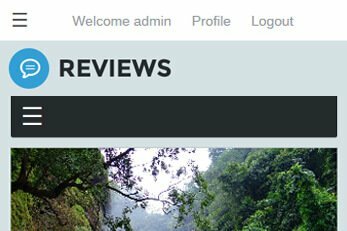 Reviews allows you to quickly change the color of your buttons, titles and even the header! All this is available from the theme back-end. 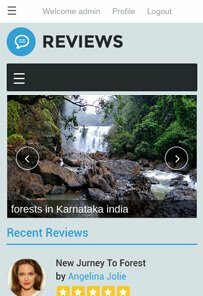 Reviews comes with a language file (.po) you can use to translate the theme. In case you haven’t done this before we’ve prepared a tutorial that will help you get started. 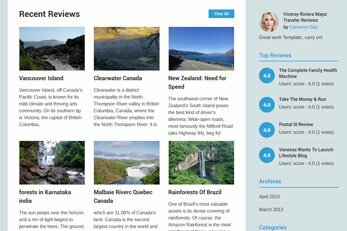 In case you have reviews available on some other site you can use the .CSV bulk upload feature to quickly upload the content to your new Reviews-powered website. Helping you structure and display content are various widgets. These include: Slider, Latest Twitter Posts, Contact Us, Recent Reviews (Grid/List), Social Media, Testimonials and more. This theme also comes with its own built-in blog. 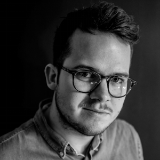 A well as being able to launch a processional and powerful reviews website, you get a blog too. 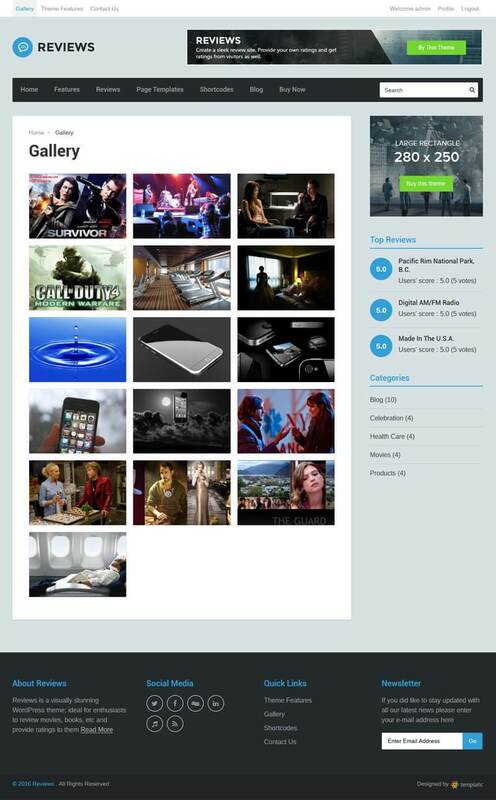 This theme is responsive. 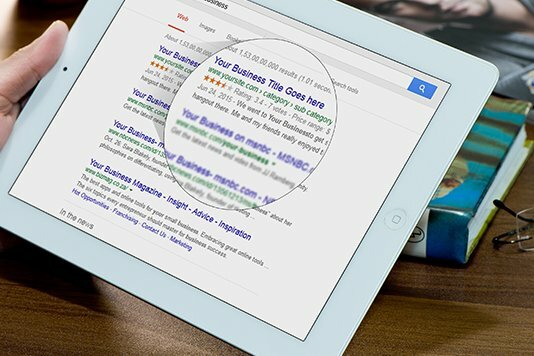 It means whether your site visitor is looking at your site from a mobile devices, touch pads, laptops or desktop computers. It is coded to look great everywhere. This simply means low bounce rates, better position in google search results. Give theme demo a try. This theme is coded with the best of SEO practices to make sure your reviews website is easily found. Not only that, this theme also supports the best, free SEO plugins available today such as WordPress SEO, All In One SEO, Google XML Sitemaps and All In One Schema.org Rich Snippets. 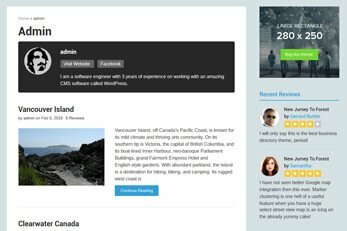 Hundreds of hours of team effort went into design and development of this Reviews Directory software theme. 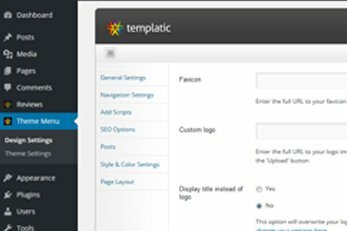 Get hold of this theme at a fraction of the price which it actually cost to develop and start your business website today.